Every maker has a story. Be a part of Taima Krayem Furniture's story by placing an order, leaving a review, and seeing your review appear here. 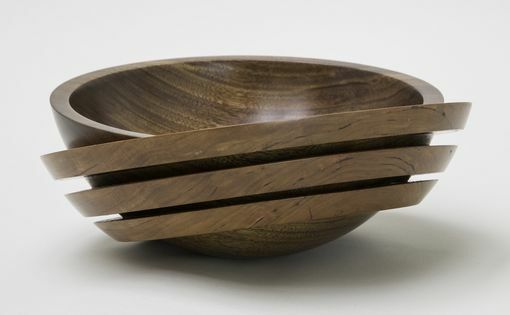 Unique Bowl. 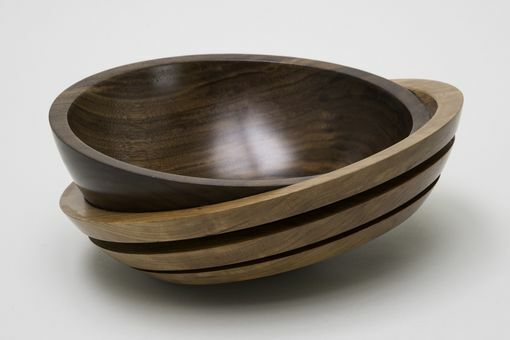 This is made by hand turning two bowls, two perfect spheres fitting together, cutting one into rings and glueing it. 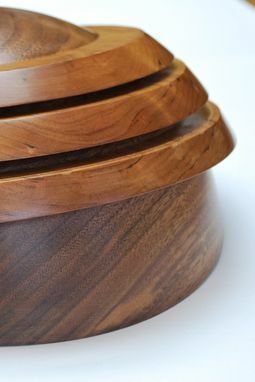 Available in different wood, and the number of rings could be varied as well. This example one is around 4" high by 9"diameter.